They are great here. Fast & easy. I recommend to everyone. Kind & friendly staff. Very reasonable and reliable. Jennie has always been the most helpful! Very helpful and nice. Love the area and security. Wonderful women! Great communication with great customer service. Very nice staff and very helpful ladies here. Made me feel at home. Enjoyable, efficient customer service! On a scale of 1-10, she is a 15. Excellent customer service. Will definitely recommend. Thank you for caring. Seeking a climate controlled storage unit for my elderly parents living in Baytown, and who were flooded by Harvey. Sandra, we are so sorry to hear about your parents troubles and want to provide as much help as possible. While we do not have climate controlled units, we recently upgraded our facility with state of the art cameras, LED lights all around our facility with a monitored gate. 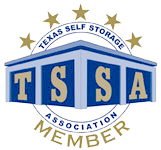 Our storage units are being remodeled with metal on all the walls and includes the ceilings. The two things we are most proud of are our employees Charlotte the Manager and Jennie the Assistant Manager. You will not find better customer service or a cleaner property or two employees who really care about their customers. Please go visit our facility and meet Charlotte & Jennie, you won't store anywhere else. We can get your parents moved in on a special of $29.95 and we will include a free lock. We also have a truck we will let you use for free, just put the same amount of gas back in for our next happy customer. Please stop in and get a cold water and take a tour, we are very proud of our properties and employees. I had a wonderful check-in experience. The staff were courteous and helpful. The unit was very nice and priced very competitively. Excellent service. Have been with them for many years & love present staff. The lady at the front was super friendly and very knowledgeable. Will do business with again and recommend. Love their service. Good job. Awesome service, very nice & fast service. 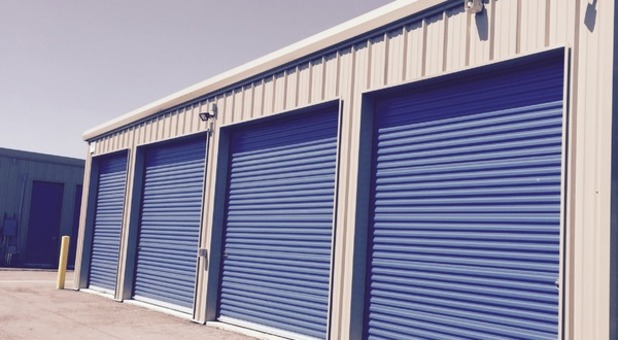 Will definitely recommend if you are looking for storage spaces. Wish you property was open a little later. Your office ladies are wonderful. Staff is great. Unit is clean and spacious. I have been here for decades and I am beginning to see physical improvements. Management is the greatest. Great job explaining everything and showing me the unit. Very nice, clean and spacious. Very sweet and fast. Very friendly. sweet lady, very nice and helpful. Love what I have seen. Very Helpful, professional & courteous. I would recommend this facility to all my friends. I have very good service. The staff was very helpful. Nice clean units. I was able to get my unit with a very affordable move in special. The management was very friendly and helpful. The people who run the place are extremely nice and helpful. My unit was exactly as advertised and they had it ready and waiting for me when I arrived. Initial paperwork was a breeze. Location is right where I need it to be.